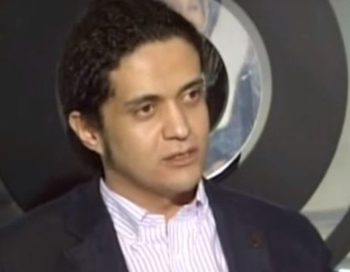 Somebody claims that Ashraf Fayadh cursed God. So a Saudi Arabian court has sentenced him to be beheaded. 26484 2 months ago Anonymous Austin, TX , US Please have mercy or there will be none for you when the time comes before Him. 26482 1 year ago Régine Bohar Toronto, ON , CA The world is watching. 26481 1 year ago Heather Spears Copenhagen, BC , DK and stop starving Yemenese. Ally????? 26470 2.5 years ago John Steven Livacich Redlands, CA , US We need to end all our support for violent religious extremism. 26469 2.6 years ago M.B. Hardy Raleigh, NC , US Mere claims aren't evidence, and speaking one's opinion isn't a crime. 26464 2.6 years ago Stephen Brackens Brinkley San Diego, CA , US Stop the BARBARISM , HOUSE OF SAUD. HUMAN RIGHTS NOW IN SAUDI ARABIA! NOW, NOT LATER! 26461 2.7 years ago Barbara Zilles Iowa City, IA , US Allah said "Thou shalt not kill". Fayadh is innocent.